HAVE you ever been somewhere so familiar, yet it doesn’t feel quite real? A place you recognise so much, yet it seems so different? That was the surreal sensation I had as I stood in the middle of Pin Oak Court in the outer suburbs of Melbourne. You might not have heard of Pin Oak Court, but you will know its alternative name. We were in Ramsay Street, described by our tour guide as the most dangerous cul-de-sac in Australia. Well, when you take into account the number of deaths and horrible accidents and affairs that have taken place there over the past 30-odd years, she does have a point. Having watched Neighbours since I was at primary school, the official tour was a must-visit while I was in Australia. It’s a real street, of course, with real residents, so it takes a minute to get used to seeing strangers milling around the houses. The thing that struck us most was how small the street is. There’s barely anything to it. 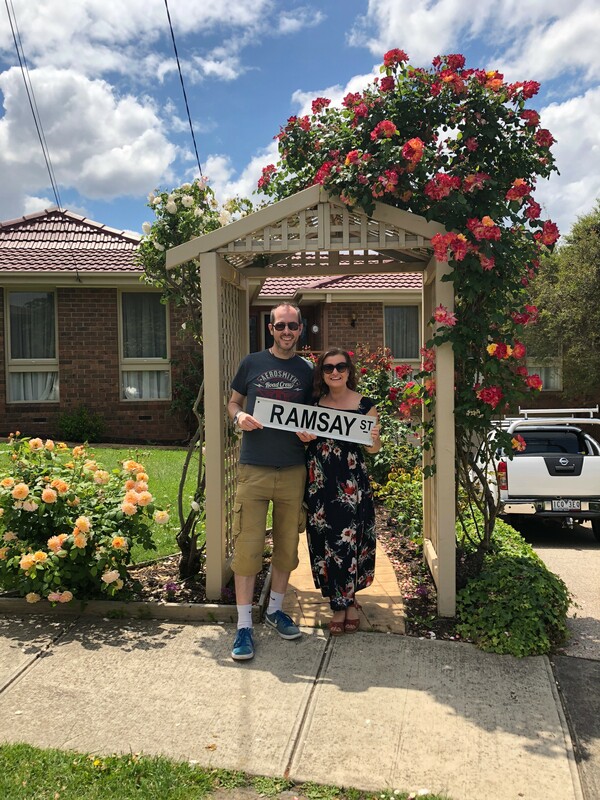 Prior to visiting Ramsay Street, the tour took us to Global Television Studios, where we were shown round the exterior sets – the Lassiter’s complex and lake, the garage, the school – and again we couldn’t believe how confined it all was. The makers do well to make as much use of the space as they do. We were like excited big kids as we sat outside Harold’s Café or pretended to enjoy a quick drink at The Waterhole’s beer garden. It was just one of many great experiences we had in our six-day visit to Melbourne. 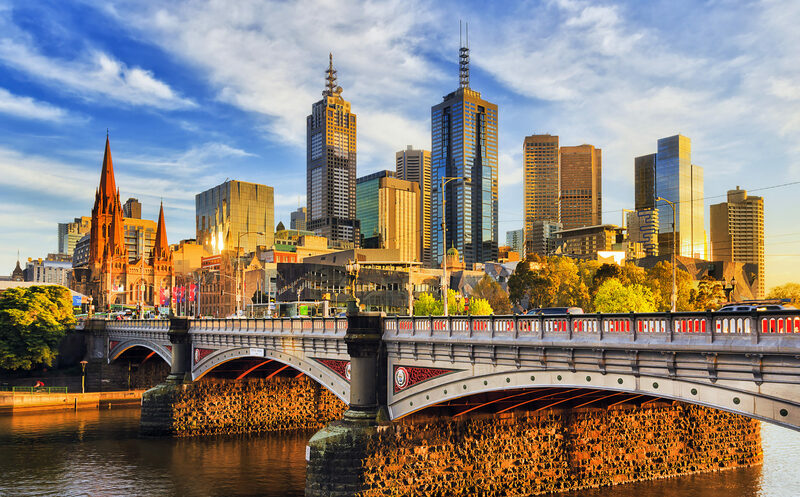 The city is regarded as Australia’s cultural and sporting hub, with good reason – there is an abundance of things to see and do. Its shopping centre is, as you would expect, huge. But if you’re looking for something a little more alternative in the shopping district, check out the famous laneways that cut through the heart of the city. The likes of Hosier Lane, Rutledge Lane, Degraves Street and AC/DC Lane offer hidden treasures around every corner – quirky shops, bustling coffee bars and restaurants, and the street art and graffiti covering almost every inch of wall. For a unique view of the city, we went up Eureka Tower, the Southern Hemisphere’s tallest building at 975ft. The Eureka Skydeck is the only observation deck in the world with The Edge experience – a glass cube that projects three metres out from the side of the building, making you feel like a cartoon character who suddenly realises that he’s run off the edge of a cliff! Other attractions we loved included Melbourne Zoo, with the chance to see koalas, wombats, kangaroos and a Tasmanian devil. And the Shrine of Remembrance is a stunning landmark. It’s a sanctuary to honour the men and women who have served Australia in wartime. We took the short tram ride to St Kilda, an iconic, laid-back bayside attraction teeming with bars, restaurants and a chance to watch penguins waddle in at dusk from St Kilda Pier. It’s also home to Luna Park, a quaint and compact 105-year-old theme park. As a rollercoaster fanatic, I had to have a go on The Scenic Railway, the world’s oldest continually-operating rollercoaster – so old the operator actually controls the ride levers from on-board the train. One of our favourite moments was a trip to Sovereign Hill in Ballarat, a 45-minute drive away. This is a stunningly detailed and accurate recreation of a gold-rush town, circa 1851. More than just a series of shop frontages with no content, there’s a chance to go gold panning, see gold being melted and poured, and to go on an interactive tour of a mine. The ticket provides entry for two days – and there really is so much to see that a return trip will be necessary. The same can be said for Melbourne, an inviting and exciting city with so much to do, another visit is essential.